Children’s theatre is one of the most underrated styles of theatre out there. It is surprisingly challenging in terms of what it takes physically and vocally to achieve high quality production value and entertainment. It is a style less taught at both the University level &amp; independent level. Yet, as a theatre artist, it can be some of the best paid, most fulfilling, lengthiest contracted, and highest funded work you can obtain. Not to mention, some of the most sought-after entertainment by parents. As a parent that believes in the power of art, I am always looking for more opportunity to enrich the life experience for my son. DCT was his very first theatrical experience, and I can tell you, there is absolutely nothing like seeing the magic through his eyes. It takes a specific type of talent to fill these roles, and of all the places I have experienced this type of theatre, Denver has one of the best pools of Artists for the jobs that I have seen. Children’s theatre provides an experience and value for children that shows them how to take their artistic skills, such as dance &amp; music, and combine it with their never-ending imagination. It’s a showcase of possibility and character development that even potentially surpasses what they can take from a book. It’s what happens when story comes to life, and for most children, that is incredibly exciting. Denver Children’s Theatre has always provided top level performances and have always found a way to provide added value by incorporating post lessons/classes for incoming school audiences and “meet &amp; greets” after each public performance. It has been one of the hidden gems of Denver for young theatre goers and their families. Sadly, almost too “hidden.” After 22 years, the program will be closing its doors. Hopefully, to open the doors of new opportunities, but for those of us with a great attachment to DCT, we will surely miss the time we’ve had with this particular Company. DCT is ending its run with, “The Little Prince” written by Rick Cummins &amp; John Scoullar. 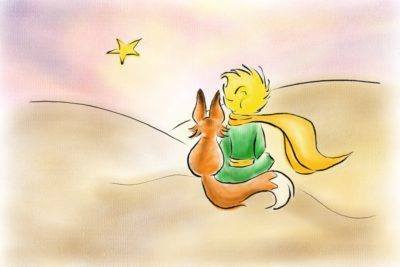 It was adapted from the book by the French aristocrat, Antoine de Saint-Exupery, who wrote this piece during WW2. There is no doubt that the circumstances of this time in France played a huge role in the creation of this story, and the themes throughout. Perhaps the most prominent theme in the story is looking beneath the surface of what we can see with the eye to find the true value of our lives and the circumstances surrounding us. “And now here is my secret, a very simple secret: It is only with the heart that one can see rightly; what is essential is invisible to the eye,” the Fox. This is especially a struggle for adults when our World can look so very cloudy. A great message that stands the test of time, and for our youth who has their whole life ahead of them. 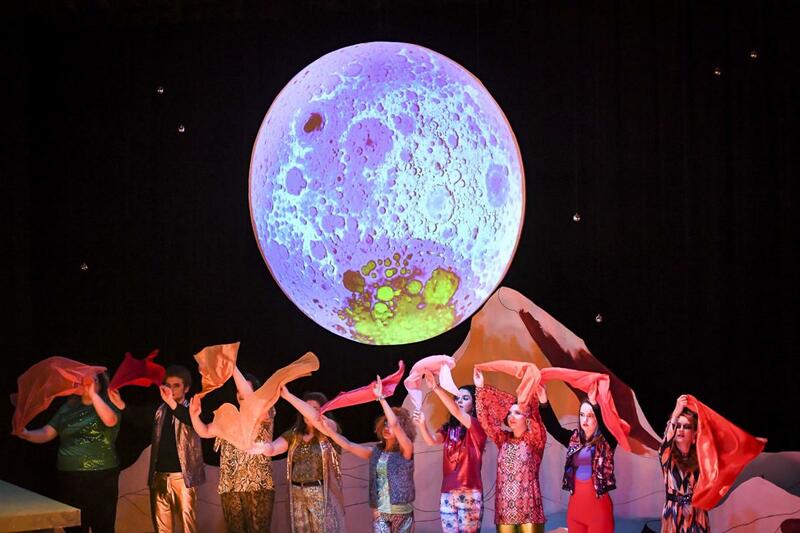 What you can expect from this production is beautifully incorporated music and sound, stunning light work, impressive animation, a dedicated &amp; emotionally invested cast, and an overall magic that will light up the eyes of your little one. The themes and content may be a tad mature for our American audience, but this only provides an unexpected value that your children will not be experiencing from most (if any) other children focused productions throughout the Denver area. It expands the age range and allows the opportunity to impact more of a general audience. The setting (M Curtis Grittner), costumes (Linda Morken), lighting (Jen Orf), and the other production artistry by Becky Toma, Dan Rib, Todd Debreceni, Debbie Stark, and Kelli Lambert really came together so cohesively to bring the magic of this show to life. While the Direction by Steve Wilson and the Actors are wonderful, the visual beauty and the heart of this piece will be what sticks with you. Your children will want to be the Aviator/Emelia Earhart (Missy Moore), and begin to churn their imagination with the Little Prince (Rachel Graham). They will laugh with the many crazy &amp; corky characters played by Damon Guerrasio, and especially love the “Fox.” They will revel in the beauty of the “Rose” &amp; “Snake” played by Ilasiea Gray, but mostly they will be swept away by the magic of theatre from the very first moment. 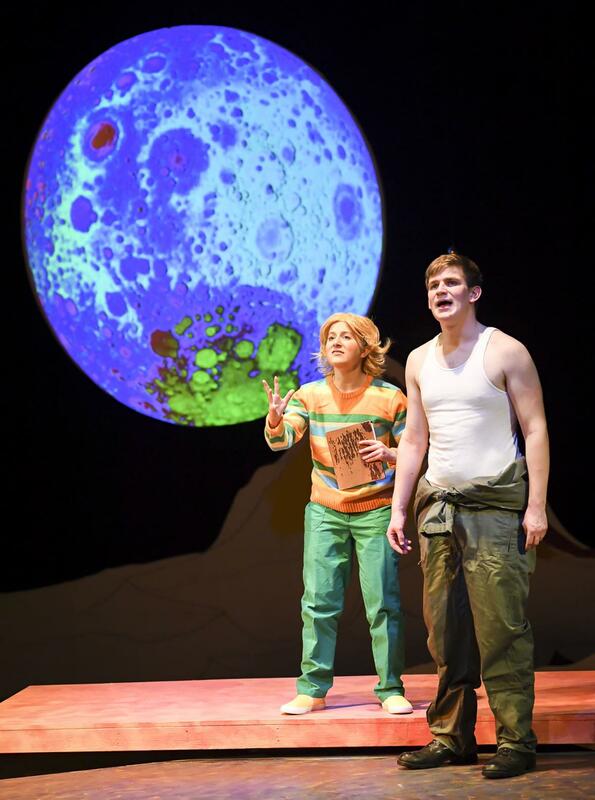 “The Little Prince” is probable best suited for 4+ and is a “straight theatre show”. This means, there will not be any musical numbers. There is no bad seat in the Wolf theatre, and the size makes it so that that entry and exciting take no time at all. So, the fear of having to lug your kiddos through giant parking garages or standing in long lines to grab your seat is nonexistent. The run time is about 90 min with no intermission; just long enough for your little one to get antsy. However, the beauty of children’s theatre is that there is an audience full of kids with actors trained to keep their focus amidst the potential chaos. You may even be pleasantly surprised how captivating theatre can be for even the wiggliest of children. If you have never experienced the magic of live theatre with your children, this is the perfect time to provide an enriched storytelling experience, and to educate them on a brand-new World that rivals anything they could possibly find through a screen.